Fourth graders from Santa Barbara County schools have the opportunity to become immersed in early California history while working with a variety of dynamic historical characters from Two Years Before the Mast, by Richard Henry Dana, Jr. They gain skills in cooperative learning, teamwork, and communication as they hoist cargo, row long-boats, raise sails, stand night watch, swab the decks, and sing shanteys. 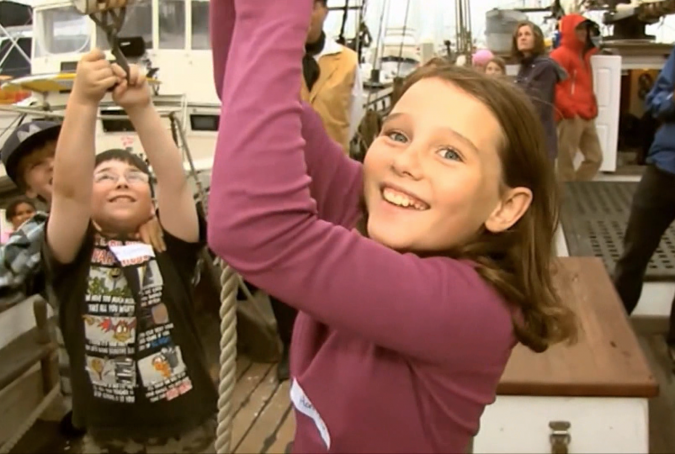 Accompanied by adult crew-members playing the parts of the book’s characters, they experience Dana’s 1835 port call to Santa Barbara during an overnight stay aboard the Ocean Institute’s tall ship Spirit of Dana Point. Program content is in compliance with the California State Board of Education History-Social Science Content Standards and highlights California’s rich maritime history. A testament to the vision of the Museum’s founders, the Spirit Program exemplifies SBMM’s mission, providing a hands-on, living experience to students. 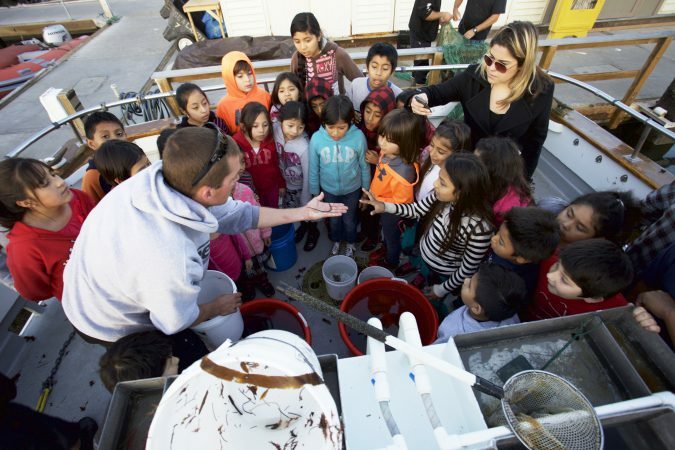 SBMM’s Marine Exploration Program dramatically brings the California Physical Science standards to life for third through sixth graders and after school groups. SBMM partners with local fishing vessel, Stardust, offering interactive 2- hour Marine Exploration classes. Students explore the Santa Barbara Harbor, enjoy a brief voyage out at sea, discuss charting and navigation, observe local sea life in their natural habitat, and work together to experience coastal California as hands-on scientists. In groups, they work in labs that include sampling water quality, tallying species collected on the otter troll, studying micro-organisms, and counting plankton under the microscope. The Marine Exploration Program immerses students in hands-on inquiry and open-ended exploration and involves students in productive teamwork. SBMM’s trained docents and volunteers visit local elementary schools for Science Nights and other events and engage students using interactive nautical and maritime-themed activities. 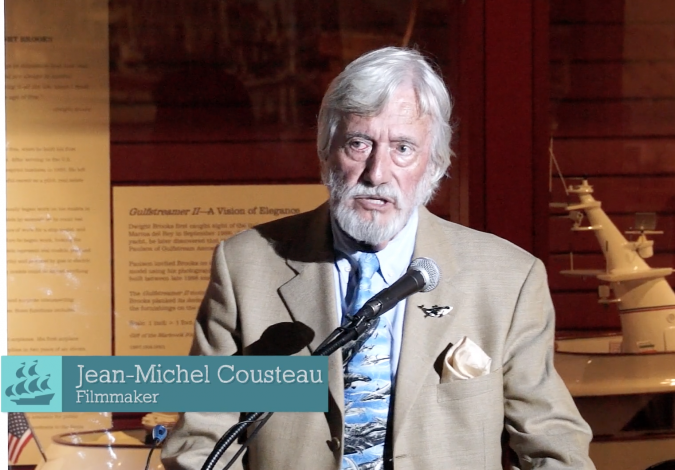 The Maritime Museum joins other museums and science-oriented organizations at these events. Almost every Thursday evening from January-May, you will find us at a local school that is hosting a science night. In February, May and September, SBMM offers Family Nights, an opportunity to view the Museum from an entirely different perspective as a family. The evening includes a variety of maritime creative and interactive activities including face painting, mini LEGO builds, and nautical crafts. 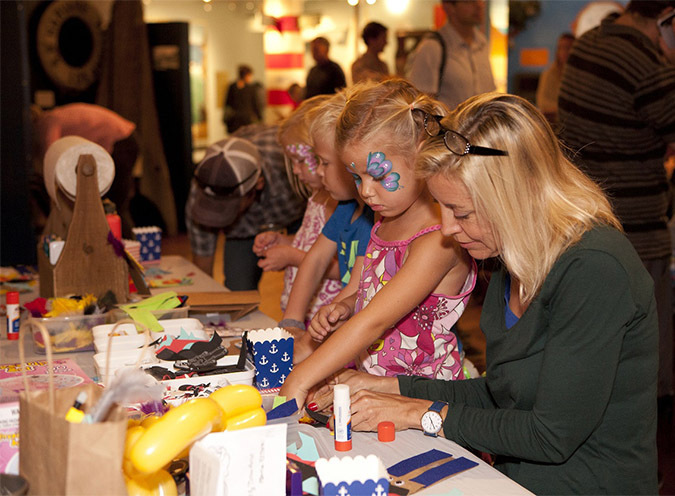 It is also an exciting time for family fun in the Museum galleries, and youngest visitors are encouraged to visit the Children’s Gallery and explore their ever-widening world though creative activities and interaction. SBMM’s trained docents lead our Field Trip Program for schools and youth organizations. Students experience the intimacy of a 90-minute docent-led tour of the Maritime Museum and the Santa Barbara Harbor. 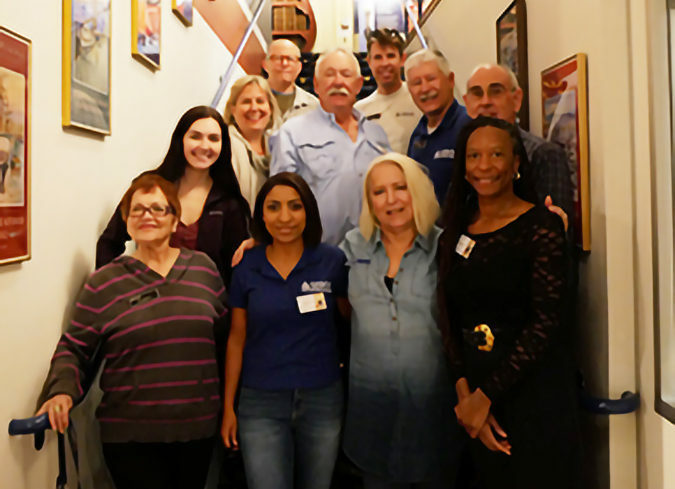 Monthly, SBMM brings local and visiting lecturers to our community to discuss a wide variety of ocean related topics, including the history of the Channel Islands, the life of female lighthouse keepers along the California Coast, and the abalone fishing industry. Topics range from local, national and international historical events, and current environmental challenges to photography presentations, and often coincide with temporary or permanent Museum exhibits. Members of the Museum enjoy private receptions with our guest speakers before each presentation. Past lectures can be viewed in the Lecture Series Archive. Videos of our past lectures. 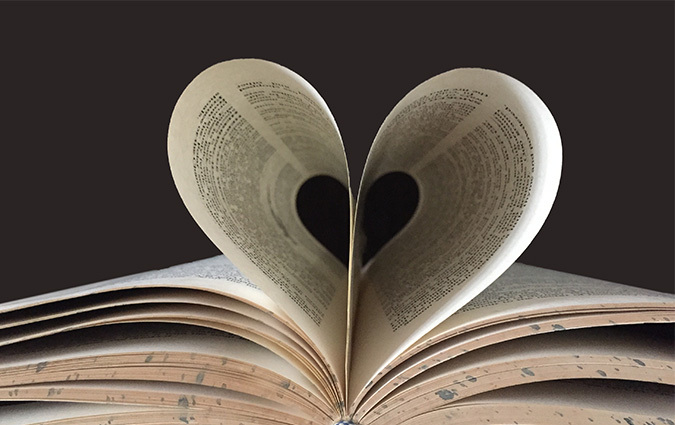 Join us as we read and discuss exciting maritime literature! Books of both fiction and non-fiction genres are nominated and selected by book club participants. Newcomers and drop-ins are welcome. Participation is free and open to the public.